How did Brits use allotments and ‘grow your own’ to survive two World Wars? In September 2018, the world marked 79 years since the beginning of the Second World War — a conflict that lasted six years, divided the world and killed millions of innocent people. In November, it was also one hundred years since the First World War ended. During both World Wars, one concern with civilians was that of starvation. 70% of Britain’s food was imported during the 1930s. Twenty million tonnes of shipping was required on an annual basis. However, Britain had to act since their enemies knew that cutting off these imports could have led to mass starvation. In this article, Arbordeck, who are composite decking boards suppliers, reflect on how the nation dealt with this threat and analyze how the trend of growing your own food helped the country during wartime. 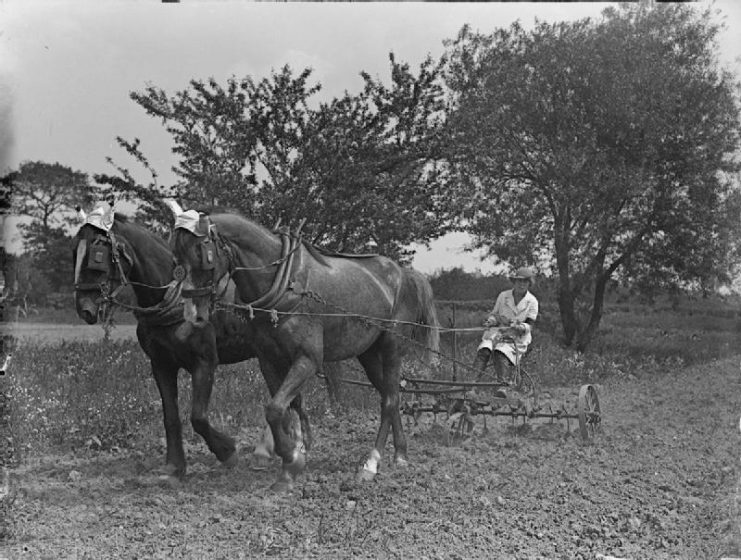 Working on a potato crop during World War I. The UK had implemented a rationing system for the public by the time 1940 arrived. This was set up so that there was a fair distribution of food and commodities when such items were scarce. 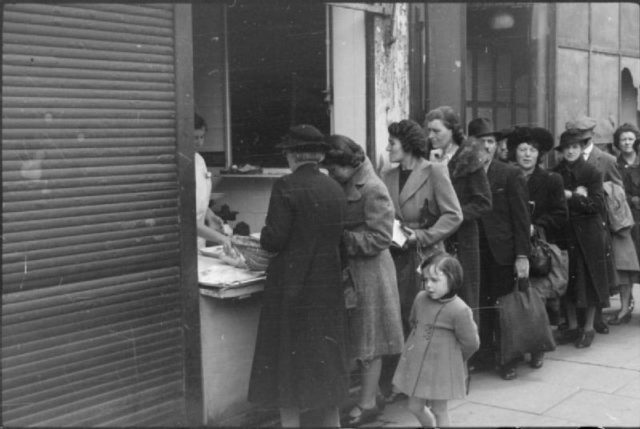 British Ration Queue, London, 1945. If you’re reading through this list and thinking that this isn’t a lot of food and drink, that’s because it wasn’t! Although the war ended in 1945, rationing wasn’t abolished until 1958. It was looked upon as a way to regulate food production and usage. 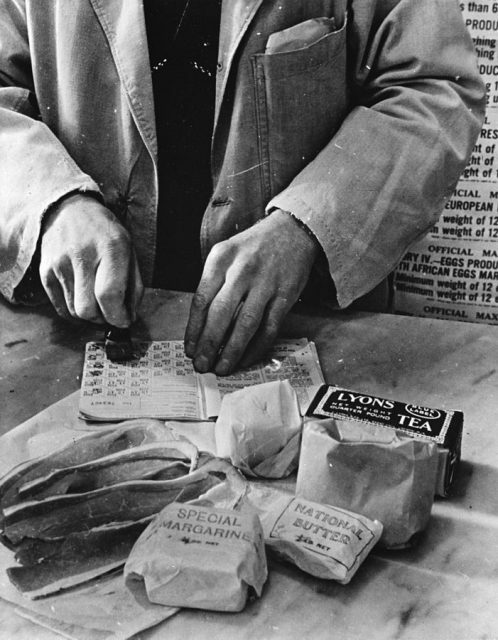 A shopkeeper cancels the coupons in a British housewife’s ration book in 1943. Half of cheese imports and a quarter of butter imports were supplied from New Zealand alone. These deliveries required a long journey by ship. Eighty percent of fruit was also imported. This led to the Dig for Victory campaign being launched by the Ministry of Food in October 1939, one month after the outbreak of the war. Professor John Raeburn, an agricultural economist who was recruited by the Ministry of Food, led the campaign until the end of the war. 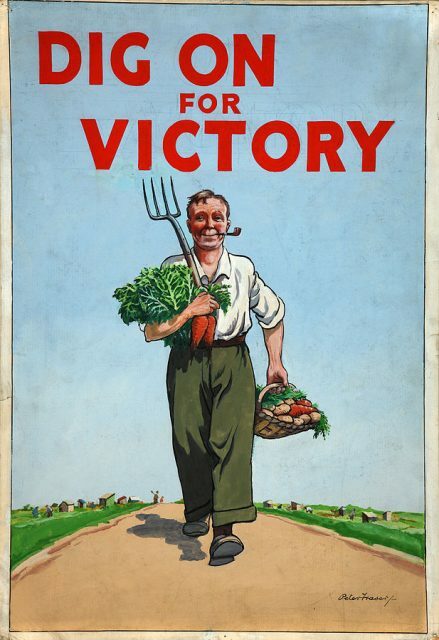 Poster for the “Dig for Victory” campaign, encouraging Britons to supplement their rations by cultivating gardens and allotments. The campaign’s message was to encourage the public to transform both their front and back gardens into vegetable plots. Its aim was to replace imported food with locally grown produce in a bid to free up shipping space for more valuable war materials and also replace any goods that were sunk in transit. This was crucial as German submarines were responsible for Britain losing 728,000 tonnes of food by the end of 1940. Even in cities, allotments were seen in public parks. The lawns outside of the Tower of London were turned into vegetable patches as well. The campaign proved to be a roaring success. It was estimated that home gardens were producing over one million tonnes of produce by 1943. According to figures by the Royal Horticultural Society, there were almost 1.4 million allotments in place throughout Britain by the end of the Second World War. By 1945, around 75% of all food consumed in Britain was locally produced as Pig Clubs. It’s estimated that 6,000 pigs were kept in gardens and backyards in this year. Chicken coops and rabbit keeping also became popular as Britain attempted to provide their own source of protein. 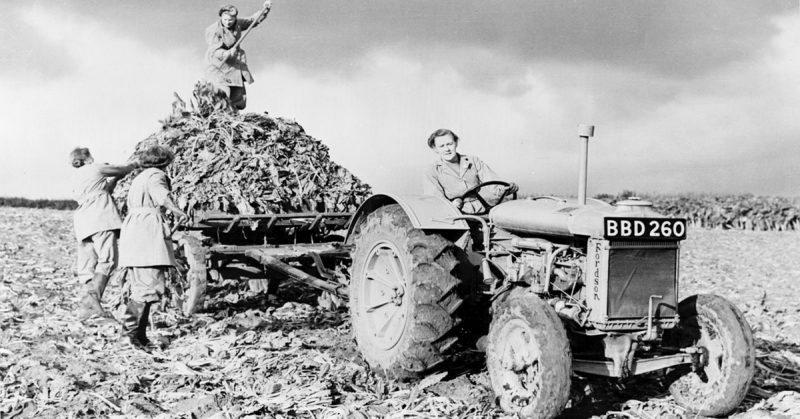 Established during the First World War, the Women’s Land Army became incredibly important as the number of allotments across Britain grew during the Second World War. Women would help farmers and market gardeners by replacing the workers who had gone to war. 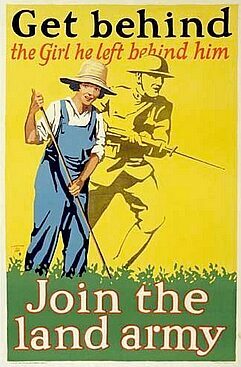 First World War poster recruiting for the British Women’s Land Army. 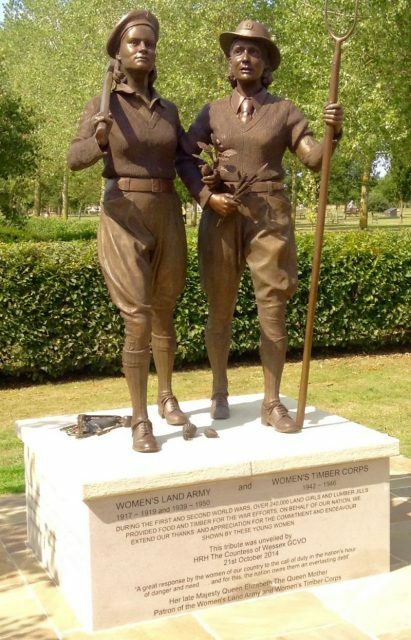 By 1944, over 80,000 women were in the British Women’s Land Army. It was eventually disbanded in October 1950. Without this workforce, Britain would have struggled to continue their harvesting. Today, the concept of ‘growing your own’ is becoming more popular across Britain once more. With many members of the British public realizing the benefits – both in terms of cost and health – it’s important to remember that allotments and grow-your-own patches played a vital part in keeping the country running during the war. In fact, the government urged Britain to return to the Dig for Victory campaign in a bid to combat possible food shortages and the ‘disastrous’ consequences it could bring.